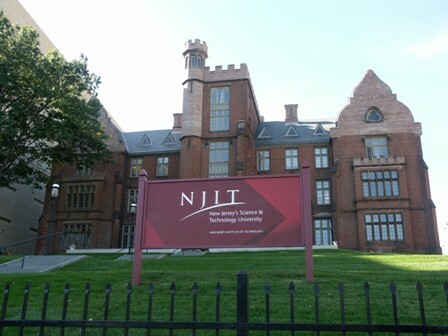 All applications to the NJIT MBA program must, at minimum, include complete transcripts for all work done at the undergraduate level and an official score report for the GMAT (although applicants who already hold a master's or doctoral degree from an accredited university are exempt from the GMAT requirement). Students entering the program must als...All applications to the NJIT MBA program must, at minimum, include complete transcripts for all work done at the undergraduate level and an official score report for the GMAT (although applicants who already hold a master's or doctoral degree from an accredited university are exempt from the GMAT requirement). Students entering the program must also demonstrate competency in economics, finance, information systems, and quantitative methods; these requirements may be met with undergraduate work or through completion of pre-degree foundation courses. International students must also provide proof of adequate funds; those whose first language is not English are required to submit scores for the TOEFL exam. All students may provide supplemental application materials, including up to three letters of recommendation, a personal statement, and a description of work experience or a resume, if they wish. The school "is proud to affirm its commitment to attracting a diverse student body," observing "NJIT has one of the most diverse campuses in the United States." New Jersey Institute of Technology School of Management (NJIT SOM)Make the next 12-18 months really count--get an advanced degree from NJIT's top-ranked business school. NJIT has a flexible schedule--attend classes weekends, nights and online. The New Jersey Institute of Technology's business school is an outstanding value. Our fast-paced advanced degree programs for working professionals turn out successful entrepreneurs and top-level Fortune 1000 executives alike. Taught by award-winning professors, technology experts and A-list business leaders, the NJIT SOM curriculum is based on the progressive teaching methods of blended learning and directed study. Our degree programs concentrate on leading-edge business strategies and technology management, producing well-rounded executives ready to face the opportunities and challenges of business in the global marketplace. The NJIT AdvantageA hub of research and technology in greater New York and New Jersey. Students and faculty at the NJIT School of Management enjoy the benefits of being part of a renowned technological research university. In partnership with the College of Computing Sciences, our business school offers specialization areas in management information systems and e-commerce. This gives our students the opportunity to learn the latest management strategies and the newest technological breakthroughs. SOM also collaborates with the Newark College of Engineering, offering students the option to take elective courses in engineering management and manufacturing engineering. Foreign study and foreign study immersion tours are also offered. For undergraduates, SOM offers a Bachelor of Science in Management program with an accelerated 1-year master's degree. AACSB AccreditedLess than 10% of the world's business schools have achieved the honor of business accreditation from the Association to Advance Collegiate Schools of Business. The AACSB designation insures NJIT's business school students the highest standards and best practices in advanced degree education. Want more info about New Jersey Institute of Technology School of Management Full Time MBA? Get free advice from education experts and Noodle community members.